Golden Touch Blackjack Revolution! by Frank Scoblete, featuring the revolutionary and incredibly simple, yet powerful, Speed Count and the matching Optimum Basic Strategy (OBS). 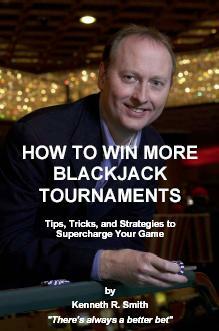 In minutes you can learn Speed Count and be able to play blackjack with an edge over the house. This e-book includes FREE software so you can practice the Speed Count and OBS at home on your Windows computer. Note: not available in print form.